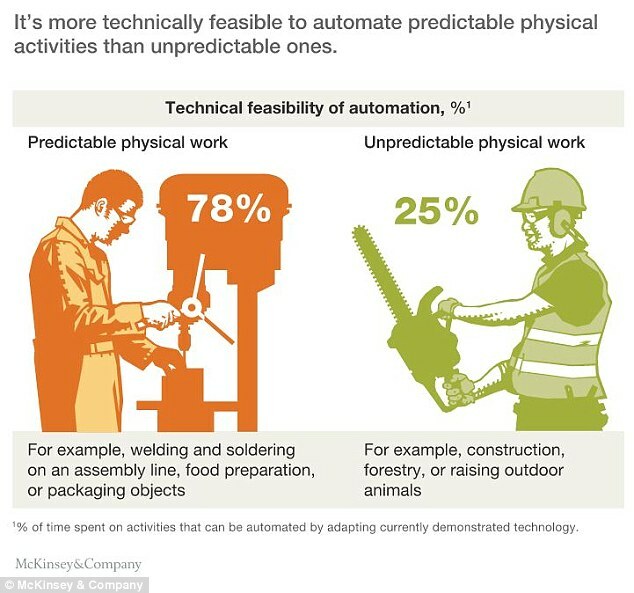 At a JP Morgan conference this month, former Mayor Michael Bloomberg stated that “forty percent of New York City’s jobs will be automated over the next 10 years.” This means over 1 million people will be out of work by 2026. Bloomberg’s statistic is even less than the UN Report last November, which stated over two-thirds of the jobs in developed countries will be eliminated over the next decade. His advice, “train your kids to be plumbers instead of going to Harvard” (see graphic below). 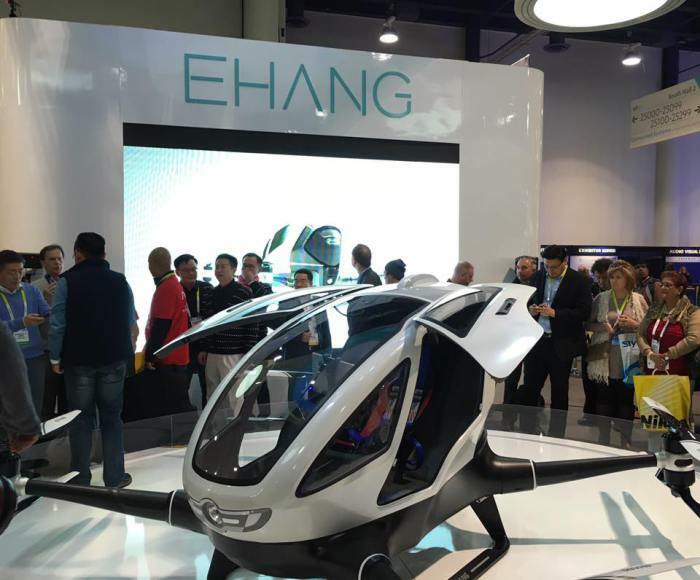 Last January, I was walking around the Consumer Electronics Show (CES) and every other booth seemed to be a drone company. The Federal Aviation Administration (FAA) was there too, aggressively promoting their cloud-based registration platform. The biggest surprise – a human-ferrying drone (below). To many, CES is a bellwether for the upcoming year’s tech trends. The cottage industry of drone videographers of 2016 will soon be hanging up their rotors. I have met plenty of these entrepreneurs that are now attempting to pivot their business models by filing bogus patents and expanding to enterprise services. There are already too many of these “me-too” companies. In speaking with a leading franchise builder, who has launched numerous successful concepts, we agreed that the drone industry is ripe for consolidation. 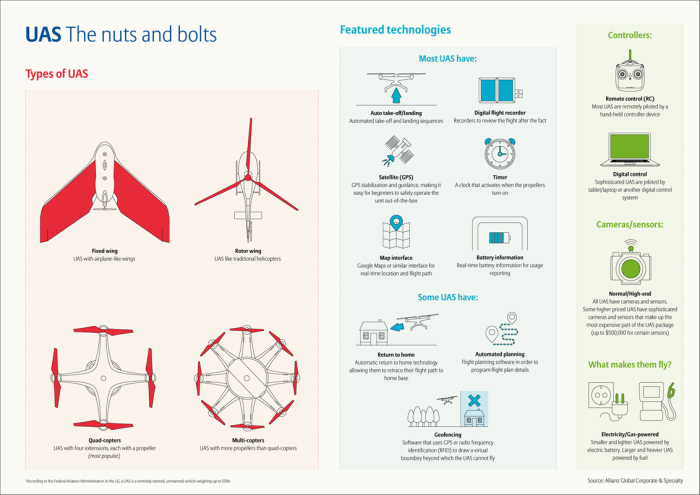 In the same way that Kinkos, Mail Boxes Etc., and LegalZoom changed the economics of starting a business, a leading brand for “everything drone” could change the aerial landscape. Already, companies like Measure and DroneBase are serving as the centralized 800-number for ordering a drone anywhere (yet far from being a household name). 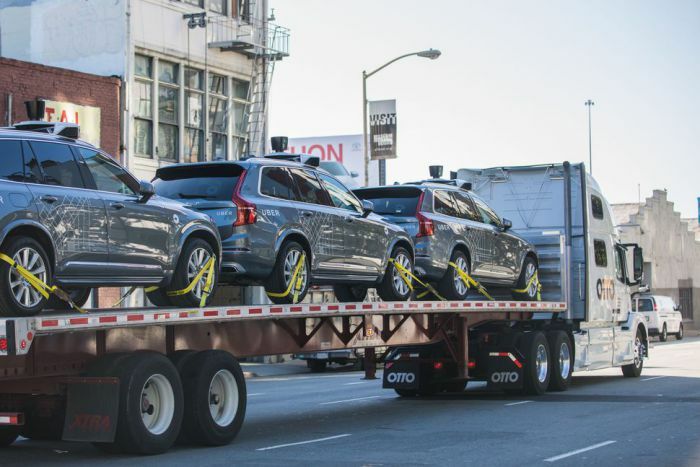 While Waymo (formerly Google), Tesla Motors Inc. and General Motors have all complied with California’s permitting process, Uber failed to agree to disclose the incident reports of when autonomous mode is deactivated. 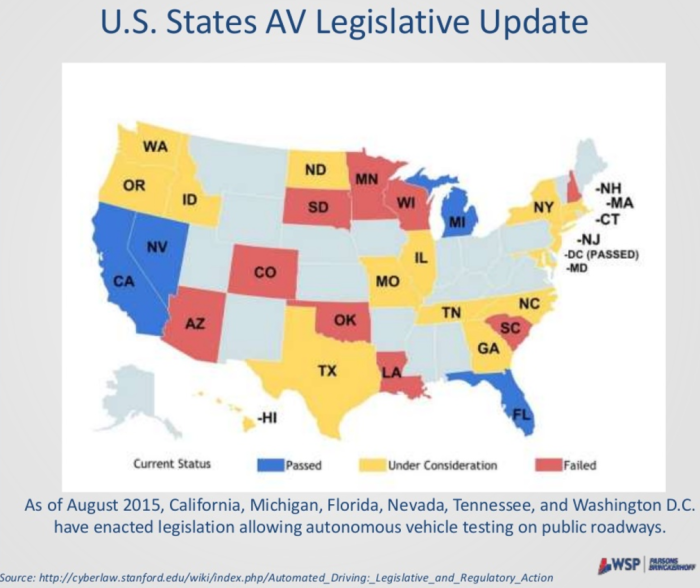 Phoenix now joins a growing list of a half dozen cities testing self-driving automation, even though Arizona failed to pass its own autonomous driving legislation in 2012. To summarize, Uber’s program in Phoenix is the equivalent of a teenager with a learners permit driving a taxi. The definition of a robot is somewhat ambiguous. In many ways artificial intelligence messaging applications are appropriately called bots. These bots are now taking over white collar jobs, like financial advisors and journalists (currently deployed at Bloomberg). 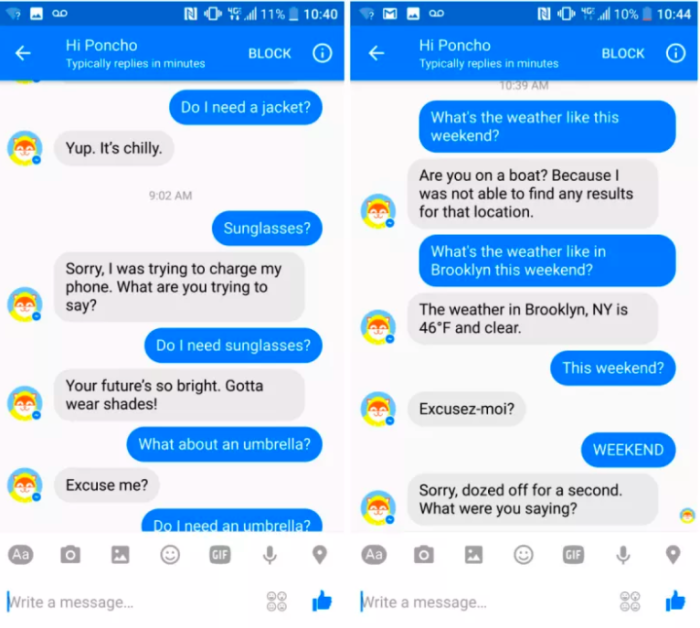 The big watershed moment for AI this past year was when Facebook introduced chatbots into messaging app. Now months later, nearly 80% of companies have used or planned to use chatbots by 2020. Chatbots, beyond being efficient (and sometimes annoying above) have the power to disrupt the $79 billion customer service market. According to Business Insider, 29% of this market is potentially on the chopping block. This figure is compounded by the fact that 40% of millennials actually prefer interacting with chatbots to humans. (we have all experienced a rude token booth clerk. Chatbots are not limited to the Internet or Phone Apps, speech recognition technology devices like Amazon’s Alexa, Google Home, and Siri have become home robots to millions of users worldwide. 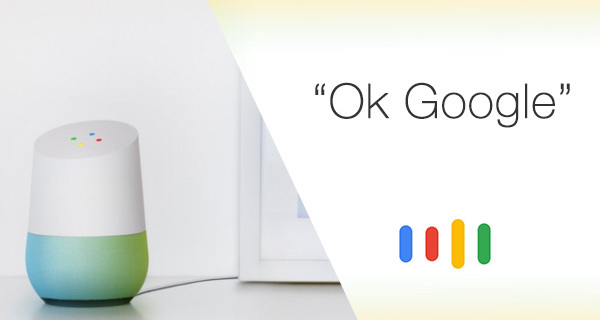 In fact, as predicted on this blog, Alexa and Google have eaten Jibo’s lunch (which has yet to ship). This is just the beginning of the age of social robots. This week Facebook joined the race with its own home platform, months early for April Fools Day. Enjoy, Happy Holidays!